The Royal Ontario Museum brought artists and scientists together for an evening of free-flowing discussion. Deborah Samuel’s photo-based artwork, now showing at the Royal Ontario Museum, is eerily life-affirming in its exploration of death. Called Elegy, the show consists of 33 images of delicate, white bone structures—10 of them belonging to animal skeletons in the ROM’s collection—on infinite-seeming black backgrounds. On Tuesday, the room was alive with conversation, thanks to “Oceans Apart,” an evening of discussion put on by the Friends of the Institute for Contemporary Culture at the ROM. Samuel gave a slideshow introduction to the evening. Tables for eight were set up and participants sat down next to special guests with expertise in art or science, two per table to facilitate discussion. The aim of the evening was to bring science and art closer together—if only in the minds of attendees. Samuel’s inspiration for creating Elegy was the 2010 oil spill in the Gulf of Mexico. She took photos of the aftermath, including the suffering of animals caught up in the disaster. The experience made her realize some of the advantages of using art and science in tandem for environmental education. Samuel took a seat at a table as an expert, along with Dave Ireland, the managing director of the biodiversity programs at the Schad Gallery of Biodiversity. Discussion at the table was extremely varied. People shared stories of growing up in different countries. One guest spoke of getting her diver’s license at the age of 16 in Oman while someone else recalled listening to the radio to hear whether or not it was safe to swim in the Danube. Soon the discussion shifted to Samuel’s exploration of the Gulf of Mexico and Ireland showed off a photo taken in British Columbia and discussed the pipeline that is being built in the rainforest to transport tar-sands oil to Chinese consumers an ocean away. 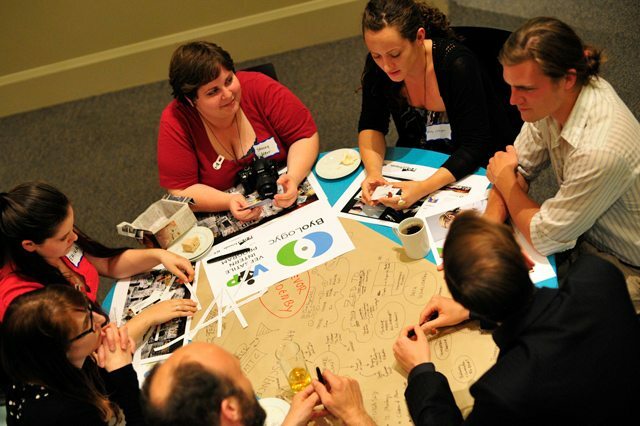 The group pondered what can be done within Canada to change the dialogue about oceans. Samuel responded that “abstraction makes the topic accessible” and that using photography can focus on a topic in the way that a microscope can’t. 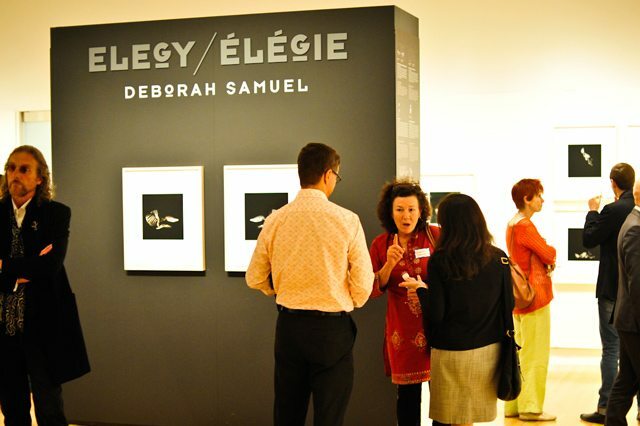 Elegy: Deborah Samuel runs at the Royal Ontario Museum until July 2.